I recently had the opportunity to share with TV journalist Kirt Jacobs why I am so passionate about Genesis and what prompted me to move from my home Down Under, in Australia, to California, and eventually to Kentucky. This interview was filmed for MoxieTalk, a secular documentary series that provides interviews that offer “an intimate look into the courage, character, and defining moments of today’s most inspiring individuals,” mostly business leaders and politicians (like Senate Majority Leader Mitch McConnell and former Arkansas Governor Mike Huckabee), and sometimes religious leaders. I recently shared with TV journalist Kirt Jacobs why I am so passionate about Genesis and what prompted me to move from my home Down Under to America and, eventually, to Kentucky. I was pleased with how the interview turned out and thought I would share it with you during two special screenings at the Creation Museum this month. I really shared from my heart as I chatted with Kirt, talking about the huge influence my parents had on me as a young boy, my move to America way back in 1987, my vision for Answers in Genesis, the Creation Museum, and now the Ark Encounter. I hope this behind-the-scenes look at the ministry and my life will ignite a passion in you for defending the authority of the Word of God and the gospel. 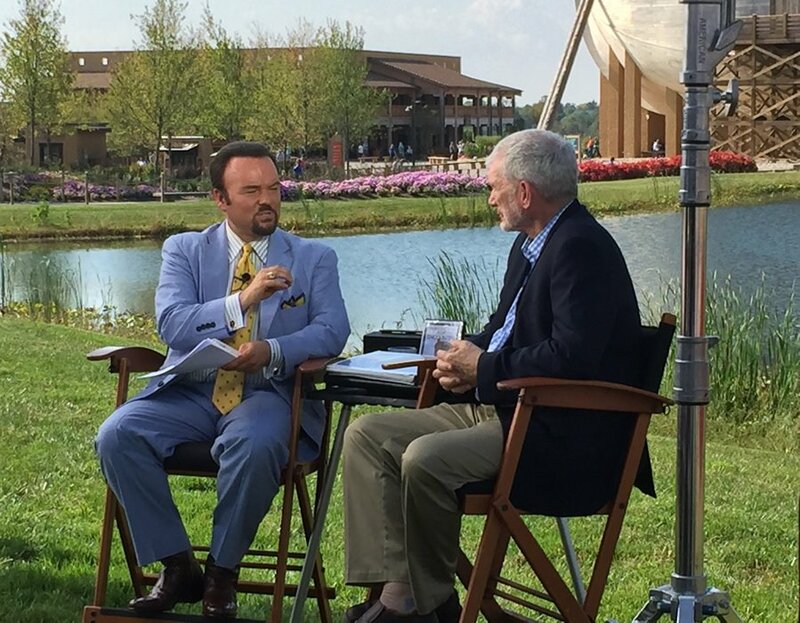 This 45-minute interview (a shorter version appeared on TV), filmed at the Ark Encounter, will play at 3 p.m. in Legacy Hall at the Creation Museum on April 23 and 27. Admission to this special presentation is free with your paid ticket to tour the museum. Plan your visit and see what other events are happening at CreationMuseum.org.